That sounds scary, doesn’t it? Being prepared doesn’t mean that you need to be scared, however. It just means that you need to be ready to protect your home and business. The old saying “an ounce of prevention is worth a pound of cure” is true when it comes to disaster preparation, and this is especially true when it comes to flood prevention. Residents of the South Carolina Midlands know that floods can strike suddenly and take out an entire home’s worth of treasured items. That’s because flood damage can not only damage a home’s structure. Flood damage can cause long-term rot and sanitary problems in your property and open the doors for the growth of toxic molds. Here are a few things to think about regarding preventing immediate or continuing damage from floods in your area. More specifically, let’s talk about how mold can crop up, and how you can be prepared for the next hurricane season. What Does it Mean to “Prepare” for Flood Emergencies? Preparing for a flood should start with taking every measure available to you to mitigate potential damage. Understand the dangers of flooding in your area. If you live in a low-lying area (such as a flood plain created by a dam, or low areas between high-elevation mountains or hills) then the potential for flooding is typically much greater. Get smart about your insurance options. Flood insurance, like any disaster insurance, is one of those things that you don’t think about getting until you are knee-deep in water. There are several options for flood insurance, many of which will be local to your area (and will therefore consider the specific needs of your community). You can also purchase flood insurance through the Federal Emergency Management Agency (FEMA). Have a plan ready. During the South Carolina Flood of 2015, the rain came fast. Even with some warnings from National Weather Service, there was little time to make plans. And once flood waters started to rise, it wasn’t long until all access in and out of many Midlands areas was blocked. Potable water was shut off for weeks, and the available bottled water stations were hard to get to. It’s best to have a plan in place beforehand in case you need to leave your home, or if you are forced to stay in a home without power or water. Have bottled water or a filter on hand. More important than even the above-listed preparations, you need to understand what happens to your property after the flood event. This itself is much harder to prepare for. The total removal of fabric and carpeting. Any affected carpeting or other fabric (rugs, furniture, clothing) will need to go. In severe cases carpeting submerged in flood water will need removed, as will any porous or fabric surface (this includes drywall and hardwood floors). Extensive cleanup of non-porous surfaces. Any non-porous surface exposed to flood waters (plastic, glass, metal) will need cleaned with disinfectant soap or bleach. Cleanup of non-affected porous materials. You may not have to trash all your items, but most things (like clothing) are going to need special cleaning and handling. The most important aspect of preparing for a flood is the mold damage, Mold can get in to most any porous surface, including the wood studs and joists in your home. 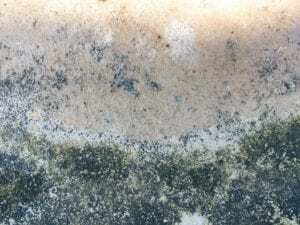 Toxic mold can grow within a 24-48 hour time frame after exposure to water, and can typically only be removed by disposing of the affected areas. Mold itself, if left to grow in your home, can cause a series of problems, including upper respiratory problems, irritation in the eyes, nose, and throat, and issues with the central nervous system. When a flood hits, you are going to need a company that can remove mold and remediate the affected areas to stop the potential spread of mold and the continued contamination of your home. In normal cases, this means that any affected area will need to be removed (including wet wood, flooring, and drywall material). With this being said, cleaning up mold should not be a DIY job. There are businesses that specialize in mold remediation, including companies that deal with the affected areas as part of their business model (carpet cleaners, for example). If you try to clean up mold yourself, then you risk leaving mold behind to continue to spread over months and years, and you risk exposing you and your family to additional toxic spore. Insurance Agent or Broker: It is important you have a good insurance plan that covers flood damage and mold damage repair. Understand all the terms and conditions for that policy, including what aspects of the disaster it covers, in what timeframe, and under what conditions. A local agent or broker can help you understand get shop for the best rates. Have a good carpet cleaner on hand. They are usually proficient in water extraction. This is just a no-brainer for multiple reasons, but if you live in a flood-prone area, you already deal with moisture (and if you don’t and aren’t, it is time to start). Find someone you trust, that your friends or family know, and that are well-regarded by people in the community. Ideally, go with a local company and not a national chain. Make sure that you have a good plumber on hand. A Master Plumber will be experienced in gas as well and can help show you where all your valves are located to shut off in an emergency. Regular inspections can ensure you home or business is ready for emergencies like floods or even ice. It is important to make sure that your experts know how to work with insurance companies on your behalf, especially when it comes to billing and expenses. You cannot predict when a flood may occur, but you can take comfort in the fact that you now know what to do before, during and after one!